A perfect blend of sophistication and country. 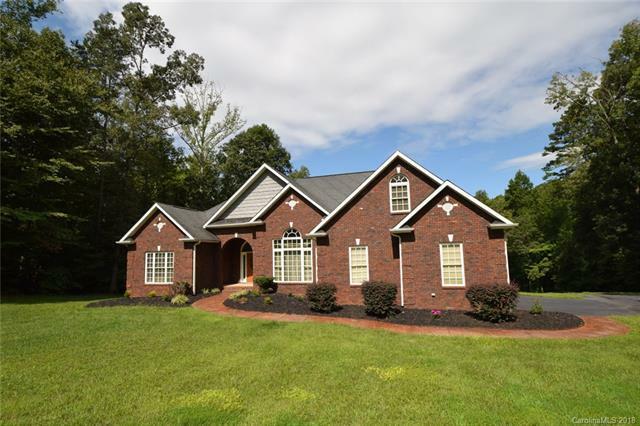 An all brick custom built home with a full unfinished basement, situated on over 3.7 acres. A perfect location for those who appreciate the quiet countryside, but dont want to sacrifice convenience. From this fantastic location you can be in downtown Charlotte in under 30 minutes, a quick commute to Hickory, Statesville & Mooresville as well. If the shores of Lake Norman call you, you can set sail in just a few minutes. The layout is open & spacious, but not one large room. Formal & casual dining; family living areas, separate bonus room. Split bedroom plan with a very nice master suite. The basement is ready for you to enjoy right now for additional storage, crafting & creating. High ceilings, rough plumbed, some partitions & lots of light- make it ready to finish to increase your living area to almost 5000sq ft. When you find a house that suits you, you have really found your home.